Hello June! This month has been super exciting for me so far, from vacations, to attending BBQ’s and completing my third novel, I must say that I’m having a great time! However, that’s not all that I’m blushing over! Can you believe that it’s been ONE YEAR since I officially launched Monique Elise?! 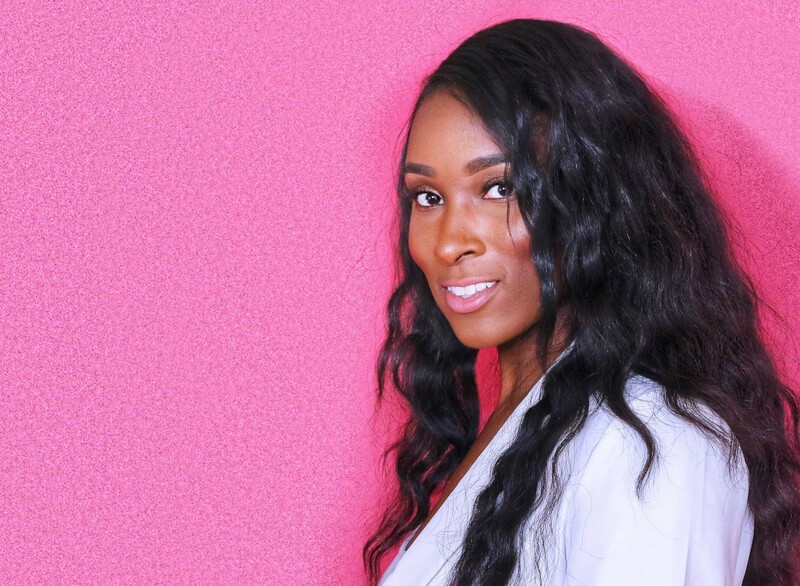 Happy Birthday to moniqueelise.com! Looking back on when I first began, I had no idea what I was getting myself into. All I knew is that I wanted to write, share my thoughts and connect with my readers. When I first launched my site, I hit the ground running! I wanted to blog about everything – beauty, travel, lifestyle. But after a couple of months I hit a brick wall, I went from blogging every week to every two weeks and then not at all. I was stumped, unmotivated and second guessing myself. Blogging stopped being fun and started feeling like work. I mean from having content, pictures, building a following, writing books, marketing, it can become so exhausting if you let it! And unfortunately – I did. I also fell victim to comparing myself and trying to replicate others.Trying to find your own special lane in such a large world of bloggers is TOUGH and intimidating! There are so many of us and it can be quite competitive. Luckily I had my AH HA moment and finally snapped out of it. I realized why I was feeling so stressed and upset. It’s because I wasn’t being true to myself. Yes I love beauty, fashion, etc. but that’s not all that I’m about. My favorite thing to do is give advice and help others, enjoy girl’s talk and meaningful conversations! I was comparing myself to others that knew exactly what their blogging voice was. It took me a while to find mine, but I did! I can truly say that I’ve grown as a person, blogger, author, and BRAND. I’m so excited for the next chapter in this book and I’m looking to get BIGGER AND BETTER! So here’s to one year down and hopefully many more to go. Thank you all that have been on this journey with me. I’m committed to only growing from here. I wouldn’t trade the lessons I’ve learned for anything! So for anyone that’s thinking about trying something new, GO FOR IT but remember to stay true to who you are! You never know – it just might work! Just give it a little time, patience, and hard work. Congrats on your first year! And even bigger congratulations on sorting through to figure out how to love your blog again. Your voice is unique, and life’s too short to do something you don’t love. Congrats on making it through your first year. That’s a huge accomplishment! This post is so encouraging, it helps me to stay focus and keep doing the thing I like and make everyday count. Congrats on yours achivement too! Congratulations on your 1st year! Your post is very inspiring and empowering! Congratulations on your one year anniversary! Kudos to you too for being a novelist — how exciting! Congratulations and best of luck on everything. Have you ever thought about guest blogging with a cross collaboration guest blog. It would help alot; even having guest bloggers on your site that focuses on your brand. Congratulations on your first year. Here’s to many more to come! Wohoo. Congrats on making it through your first year. I am sure you learnt a lot. Congratulations for your first year an for many many more! You’ve learnt a lot in this path and you’ll keep growing! Congratulations. One year is a big accomplishment. You should be proud of yourself for sure. I love it and congratulations for hitting this milestone! Wishing you many more years of success in all you do. Congrats on your blog-versary! We’ve learned so much over the past year of blogging. Good luck in year 2. Congratulations! Many more years to go! Keep going! Thank you for creating this inspiring post! Congratulations on your first year! You are doing an amazing job, heres to many more successful years of blogging! Congratulations to you! One year is achieved! Blogging is indeed a hard job to do. More successs to you and more projects! two thumbs up for all your efforts, cheers! Congrats on your first year! I can definitely relate a lot to your story even after doing this for many years. Sounds like you’ve learned a lot and I wish you and your blog the best and many more years!